When I get my iPad 3 out with its high definition Retina out to show people my work I always get compliments. But not about the work, nor for that matter the beautiful screen. It's the case they like. 'What make is it...where did you get it? Oh to be upstaged by an iPad case. 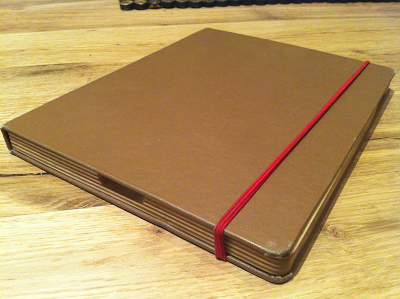 I have a Portenzo 'book case' which as the name suggests gives your iPad the appearance of a well loved journal, where you can specify the exterior and interior colour, protecting your investment in a stylish lightweight wooden chassis, which further adds to the appearance of a journal and is strong, very strong. I rely more and more on my iPad all the time, being impressed by how much I can get away with on it. As a result my iPad's leads a pretty tough life. Like the time when my first iPad had a little adventure on the roof of my car for two junctions of the M1. As you can tell I'm a big fan. And when the case does start to wear as mine has done, it just has the appearance of a well loved journal. Also it does not quite look like an iPad, perhaps making it less of a target for the opportunist thief. Well, it is not the cheapest. If you spec it up adding all the bits and pieces the price can drift northwards of $100, and if you go for a leather version much higher but you are getting a very special case. 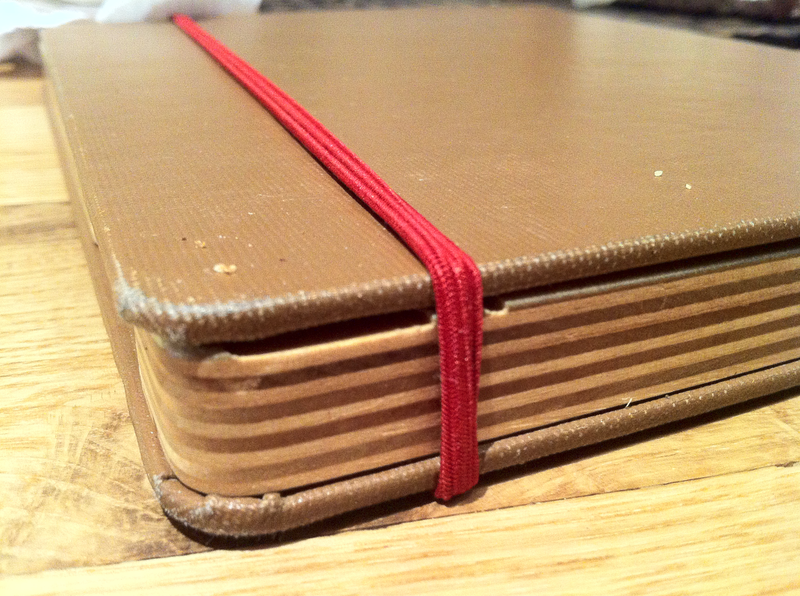 The way I have justified it to myself is as a really good value portfolio case and not as an iPad case per se. You can customise the cover with your name and logo by special order but I would like the option of deleting the 'Portenzo' name which features on the back cover. I wish the guys at Portenzo success, but not too much success. I would hate to see this case EVERYWHERE and for it to lose its unique, special appeal. I have re contacted a busy ad agency who could not quite remember me until I jogged their memory by saying I was the guy with the wooden iPad case. Oh to be upstaged by a bloody iPad case, but at least they remembered me. That is the most important thing surely? That's a nice one Drew. I just bought a kind of plain black one for the iPad Mini I bought. I was going to get a pink one but had a hard time finding something I really liked, and the black is more inconspicuous. There has been way too much theft in my part of NY and it just gets worse. For the large iPad, I will get the iPad 5 when it comes out. Should be next month, shouldn't it? LOL just kidding. iPad 4 for us probably next year. Thank you always for your kind words and I appreciate all of your posts - so much fine wisdom and I look forward to them. Thanks for your comments throughout the year.